Skin cancer occurs when tissue grows at an uncontrollable and unpredictable rate forming an abnormal growth. A diagnosis of skin cancer can be a cause for real concern. If left untreated, the disease will continue to progress and can cause considerable damage, disfigurement, or even death. However, skin cancer is usually not life threatening and therapy does not have to be disfiguring. If detected early, skin cancer can be treated successfully. The most common types of skin cancer include basal cell carcinoma, squamous cell carcinoma, and malignant melanoma. Basal cell carcinoma is the most common type of skin cancer. It arises from the bottom or base of the uppermost skin layer (epidermis). Most BCC’s do not spread beyond the skin to other parts of the body; nonetheless, they should be removed because of the extensive local damage they can do to the skin, muscle, bone, and vital structures nearby such as the eyes, lips, etc. A BCC can have a varied appearance. Typically it appears as a small pearly or pink skin-colored bump. It may also appear as a scar-like growth or scaly area. Squamous cell carcinoma is the second most common type of skin cancer. This type of skin cancer develops from cells above the basal layer of the epidermis known as squamous cells. This is a potentially more dangerous type of cancer than BCC because of its ability to sometimes “break away” (metastasize) from the skin and spread to local lymph nodes or less commonly to distant areas of the body. SCC also has a greater potential to recur after surgery. SCC may appear as a persistent rough scaly area or a hard red bump. The third most common type of skin cancer is malignant melanoma. This type of skin cancer develops from the pigment forming cells in the skin known as melanocytes. Its appearance may vary but classically it is black or brown with varied asymmetric pigment and irregular borders. It has a strong tendency to metastasize (spread) to distant organs and is thus potentially the most life threatening skin cancer. Fortunately, early detection and surgical removal can result in a high cure rate. Moles that are unusual in appearance or changing should be evaluated by your physician to help detect melanoma early. According to the Centers for Disease Control, skin cancer is the most common and rapidly increasing form of cancer in the United States. Half of all new cancers are skin cancers. One in four Americans will develop skin cancer in his or her lifetime. Approximately 1.2 million new cases of skin cancer are diagnosed in the U.S. each year. The lifetime risk of developing malignant melanoma is estimated to be 1 in 50 and has risen sharply since the late 1930's when it was 1 in 1500. Many skin growths may resemble skin cancer, but not all are malignant. Any suspicious-looking growth should be discussed with a Dermatologist. Overexposure to sunlight, including tanning, is generally considered to be the leading cause of skin cancer. Most individuals receive 80 percent of their lifetime sun exposure by the age of 18. The effects of sun damage are cumulative over many years of exposure and typically result in most skin cancers appearing in later adulthood. Approximately 90 percent of sun-induced skin cancer occurs in areas of the body with the greatest sun exposure, such as the head, neck, and forearms. Family history is also a strong indicator of risk in certain ethnic groups, especially those who have fair complexions or tend to burn and blister easily upon sun exposure. The more people with fair complexions are exposed to the sun, the more likely they are to develop skin cancer. Other causes include repeated medical and industrial X-ray exposure, scarring from severe burns and occupational exposure to certain chemical compounds. The treatment method chosen depends upon the location of the cancer, its size and the type of previous therapies, if any. Common treatments include curettage and electrodessication (scraping and destroying the tissue by electric current), cryosurgery (freezing diseased tissue), radiation therapy and standard surgical excision. In these therapies, the physician must make an educated visual estimate about the size of the tumor and the margins outside the tumor that must be removed for safety. It is important to note that treatments relying on the human eye to determine safety margin may prove ineffective. Removal of skin cancer is often complex because a tumor visible to the naked eye is usually the “tip of the iceberg”. It may have roots that are invisible, extending beyond the boundaries of the visible center. If these cancer cells are not completely removed they can lead to a recurrence of the tumor. When too little tissue is removed the cancer is not fully excised; when too much tissue is removed healthy tissue is lost. Because the Mohs procedure is microscopically controlled, it removes all the cancer and preserves as much healthy tissue as possible. The treatment of each skin cancer must be individualized, taking into consideration such factors as the patient’s age, location of the cancer, type of cancer, and whether or not the cancer has been previously treated. In some instances, more than one type of skin cancer therapy may be appropriate. Your physician will discuss treatment alternatives with you to help decide what is the best treatment in your individual case. Prevention of skin cancer is the best treatment. In general, the best practice is to limit the exposure of the skin to the sun, especially between 10 a.m. and 3 p.m. Sunscreens with a rating of at least 15 SPF should be used and reapplied approximately every two hours and after swimming. 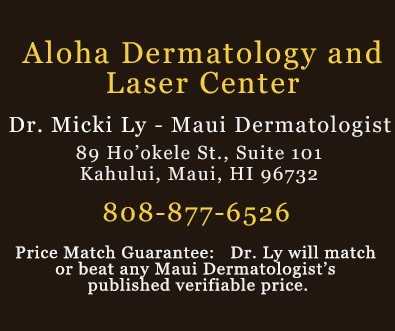 It is important to note that 80 percent of sun damage occurs in the first 18 years of life; therefore prevention should be practiced at an early age.